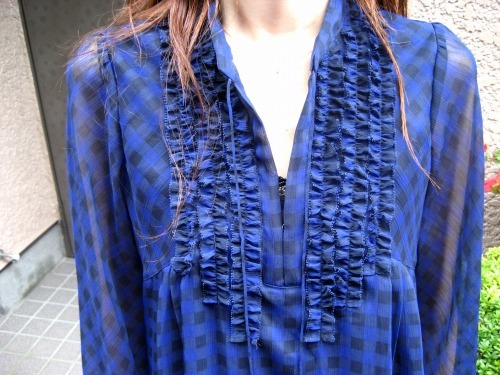 I got a Chiffon Plaid dress from Beams. I love the neckline with fine frills. Well this outfit is very beautiful. I love Japanese fashion and trends. I always keep reading their magazines.